Living a Fit and Full Life: Take Game Play to a Whole New Level with the Jenga GIANT™ JS7 HARDWOOD GAME! 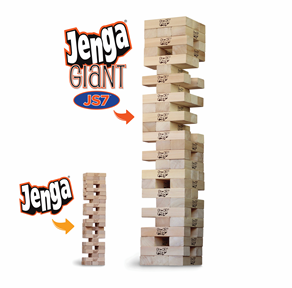 Take Game Play to a Whole New Level with the Jenga GIANT™ JS7 HARDWOOD GAME! JENGA®, EDGE OF YOUR SEAT FUN! Take game play to a whole new level with the Jenga GIANT™ JS7 HARDWOOD GAME! My family and I love the classic Jenga game so I knew we'd absolutely love the new Jenga GIANT™ JS7 HARDWOOD GAME. It can stack over 5 feet high during game play and is extremely fun and exciting to play. The Jenga GIANT™ JS7 HARDWOOD GAME is just as exciting to watch as it is to play and is the perfect game for all your parties. I love that the blocks are light and seem to be soft so that everyone can stay safe during game play. 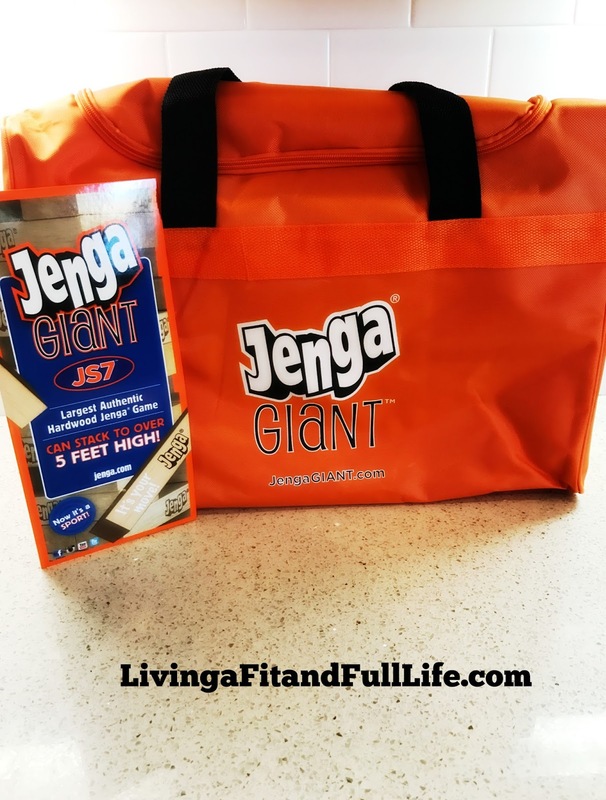 The Jenga GIANT™ JS7 HARDWOOD GAME is an absolute hoot and even comes with a durable carrying bag so you can take the game just about anywhere. 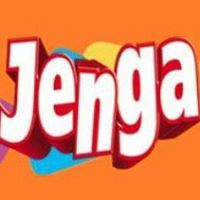 Jenga GIANT™ JS7 HARDWOOD GAME is extremely fun and my family and I highly recommend it!